Bearing a name like Matisse might seem like an awful lot of responsibility for a lot of people — living up to such a well-cultured namesake can be a challenge. But on a stretch of Parkview Avenue in Oakland, from Oakland Square to the Boulevard of the Allies, you’d think the famous French painter was named after the local resident, not the other way around. “She regards all the architecture up and down the street as hers,” Andrea Boykowycz, who lives with Matisse, said. Among the longer-term residents and Pitt students in newer rental properties along Parkview, Matisse has a reputation for being both friendly and self-assertive. Her taste for wanderlust is the stuff of local gossip, admiration and concern. Her highly anticipated visits turn a mere social occasion into a party. People notice when she isn’t around. 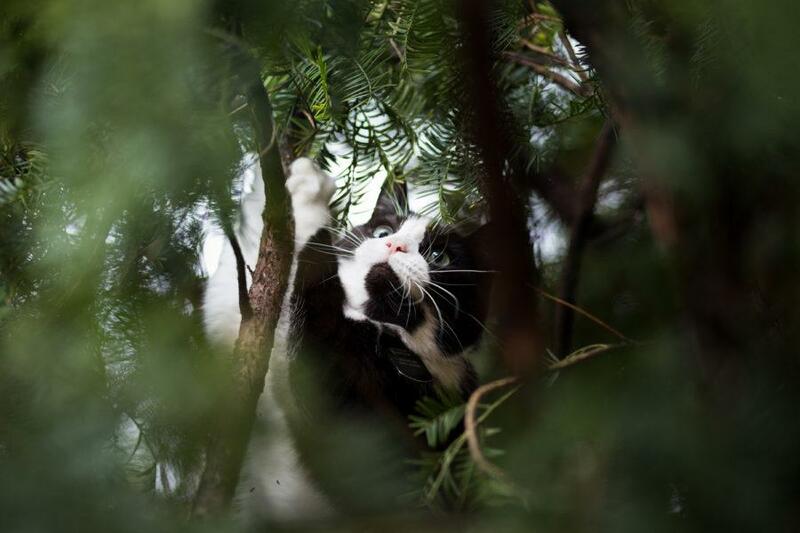 Matisse has been the family cat for Boykowycz, her husband and kids for eight years, and she ventures off the family’s property virtually every day. After an incident when she was mistakenly taken to the pound at just six months old by a stranger who saw her wandering outside, she’s worn a tag telling any humans she meets her name and that she knows her way home. 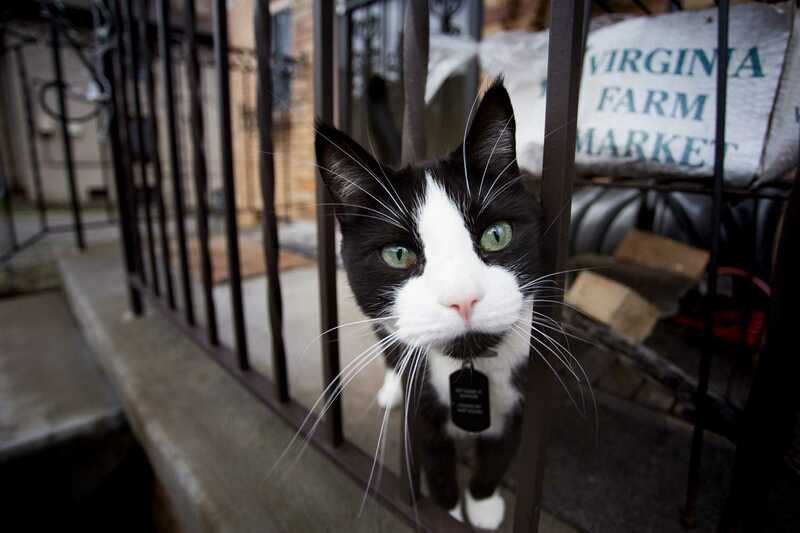 The black- and white-patched feline takes full advantage of the freedom her tag gives her to roam up and down the relatively quiet sidewalks of her street like she owns it. If the weather’s good, you’re almost guaranteed to spot her trotting toward you, belly swinging, loudly meowing and looking for a scratch behind the ears, no matter what side of the street you’re on. Dina Lardas, Boykowycz’s next-door neighbor, has lived in her current house on Parkview Avenue since 1999. She says she’s never seen a local resident become as popular as Matisse. “She’s a cat that really binds the street together,” she said. When Lardas first moved into her Central Oakland residence 19 years ago, the street was mostly families and older residents. But while the street’s population may have begun to skew younger and more toward the college student demographic in recent years, Matisse hasn’t lost any of her ability to bring people on the street together. One student who lived on the street few years ago insisted on bringing her mother around to Matisse’s house after the student’s graduation ceremony so she could meet the cat. Another group of students who got to talking with Lardas about the cat revealed to her that they had a framed photo of them with Matisse in their house. It’s not hard to see how a small, friendly, fluffy animal could hit it off with stressed-out college students. But many Parkview residents, including former resident and recent Pitt graduate Mairead Casey, can attest that Matisse has an almost uncanny emotional intelligence — showing up at just the right time to avert an emotional breakdown by forcing her way onto your lap and purring loudly but calmingly. Boykowycz said she and her family are used to the long absences that Matisse’s socializing requires. She recalled just a few times when they were worried about where she had gone, and each time her family’s concerns were echoed by the people around them who had come to rely on Matisse’s sharp meow. Thankfully, Matisse returns mostly unscathed after each adventure. Sometimes, Boykowycz can detect the scent of cigars or soap on the cat as she comes back home — the only clue to her mysterious voyages to houses blocks away from her house. The cat never lets on that she’s afraid except in the rare case a dog walks down the sidewalk or she finds herself near the high-speed traffic on the Boulevard of the Allies. But no matter where Matisse finds herself, she keeps an eye out for potential invaders. There’s no question in her mind who owns the block, and her tours lounging around the neighborhood’s front porches are just as much for politics as they are for pleasure. During the summer, when Lardas, a teacher, has all day to watch Matisse’s circuit, she can figure out just which other cats she wants to stay out of her space. The only cats Matisse can stand live with her — her family also plays host to Phoebe, a gray cat about the same age who is as shy as Matisse is gregarious. An older tomcat also lived with the two until he passed recently. Since his death, Matisse has been noticeably less venturesome and only patrols out to the Boulevard infrequently. But she’s still going strong. Whether it’s jealously guarding the people in her little corner of Oakland or aggressively rubbing up against the legs of college students who come to visit their friends, Matisse does everything with an emotional intensity that it’s difficult to imagine in any other cat. One of her favorite things to do is follow the kids in her family as they leave the house for school and wait for their return outside when the weather’s warm enough. Boykowycz thinks it’s because Matisse feels a special connection to her son, who named her when he was just 3 years old.